Let me help you find your new home. We’re experts in negotiating and securing clients the home of their dreams. Let me help you sell your home with dynamic and technically sophisticated marketing. Use my advanced search tool to find Los Angeles real estate MLS listings for sale. Fill out the form and we will conduct a personalized search just for you. We are the premier resource for all real estate information and services in Los Angeles, Beverly Hills, Bel Air, Brentwood, Malibu, Santa Monica, Pacific Palisades and more. 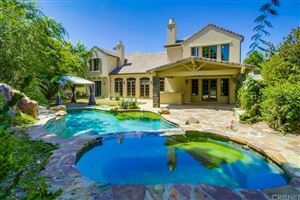 Our extensive list of California LA luxury homes, condos and apartments for sale will enable you to find the best unique properties not found on other listings in the area. From the Hollywood Hills to Doheny Estates, the Sunset Strip, Bird streets, Laurel Canyon, Sunset Plaza Dr, Hidden Hills, Mount Olympus and Lake Hollywood. Hollywood Hills East covering The Dell, Whitley Heights and Beachwood Canyon. We also have an extensive range of houses, Mansions, condos and apartments for sale, rental and lease including beachfront Malibu locations for people looking for that exclusive Los Angeles California location. Are you thinking about selling your Los Angeles CA home, Mansion, condo or apartment in the coming months? You need to know current market values that way you can be sure to ask a fair and realistic price for your property. At Pezzini luxury homes we would love to help you with a FREE Market Valuation Analysis, to help you determine the accurate market value of your home. We also have our own California real estate Internet Marketing Platforms and Networks exclusive to the Pezzini Brand, as soon as your property is listed for sale with us it will be live on our systems and in front of potential buyers in minutes! We also have our own database of potential buyers that we can match to your exact type of property and email them the details at the same time. "After trying to sell my home with another agent for 2 years. Luis and his team sold my home in less than 3 months and helped me with a replacement property. Thank you!" "After going through 3 agents in a 2 year period I was referred to Luis and his team. He found me an all cash buyer in less than 45 days. Always stayed positive great experience." "Luis help me sell my condos when others said i was asking for too much. Sold in less that 30 days all cash. Never met Luis in person as I live in New York transaction went perfect." "Sold my condo in West Hollywood all cash buyer great experience."